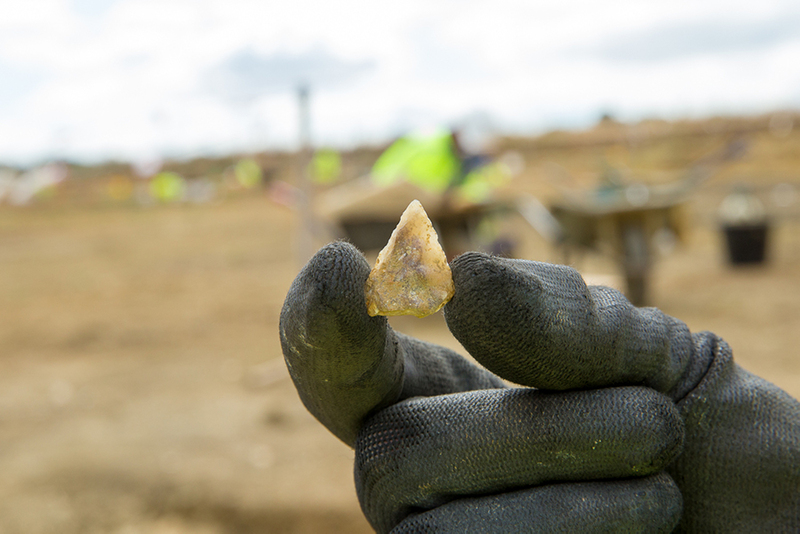 Usually the arrowheads we find in Britain are made of flint, which makes this example – recovered by a volunteer in week 2 – something a little bit special: it appears to be made of shell instead! Shell only tends to be preserved in specific conditions in the ground (it dissolves in acidic soil), so we are lucky to have this glimpse into the distant prehistoric human activity at the site thanks to its silty clay soil. 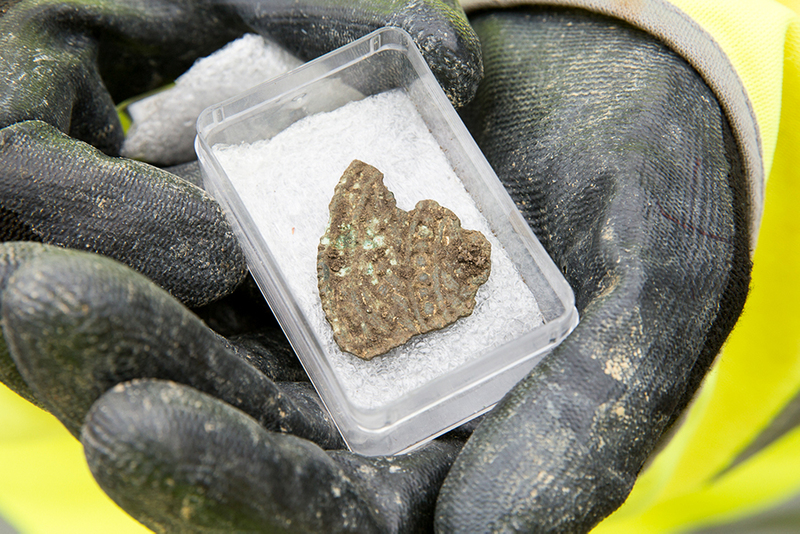 We think this example is potentially Neolithic, meaning it could be 4500-6000 years old. 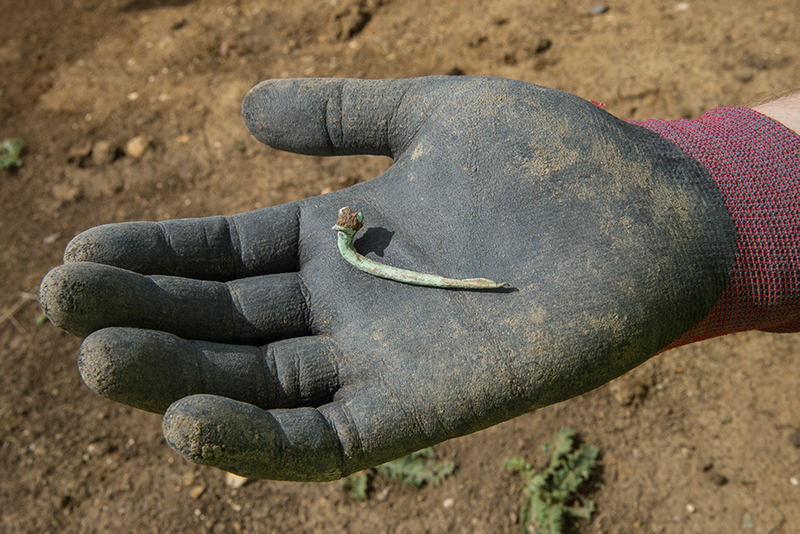 Many of the best artefacts have been giving volunteers insight into the residents of the medieval village of Houghton, and the lives they led before they were forced to abandon their homes in the 12th century. 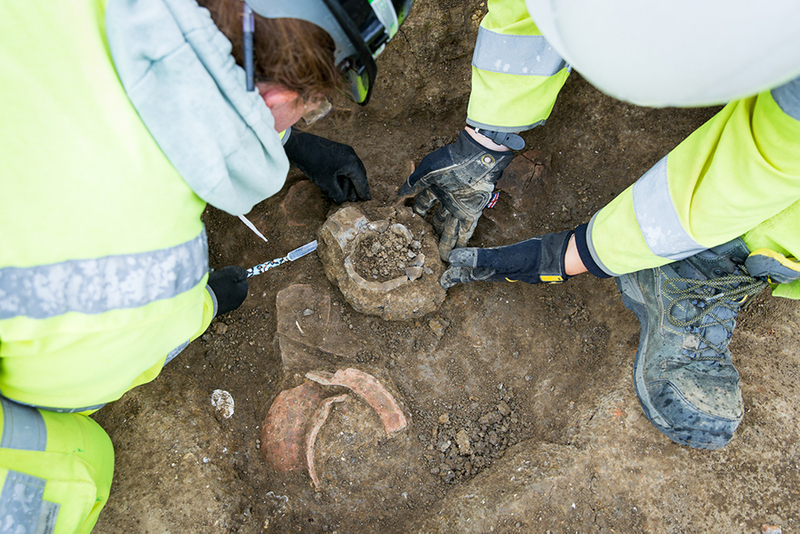 “It was lovely to see the whole jug, complete with a lip and handle”. If you look closely, you will see tiny flecks of gold, which may once have coated the entire surface. 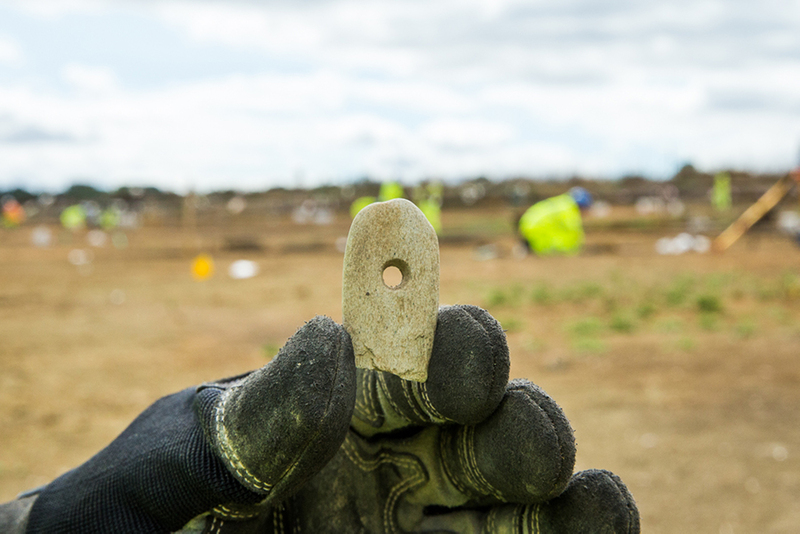 “I particularly like the way the object is so well-made, with the perfect hole in the centre”.